Before you even consider marketing your fintech product, you must understand the obstacles that could get in your way and how to get around them. In a fast-paced, tech-driven world, millennials don’t like to be tied down to a specific service or brand. And they don’t have to be. With so much competition out there, it’s essential to give this market the freedom to dip in and out of your services as they choose. The flexibility of apps, for instance, is what makes them so popular with 47% of millennial using their gadgets for mobile banking. Indeed, millennials are first adopters of popular fintech apps such as Venmo, Apple Pay, Samsung Pay and Zelle. 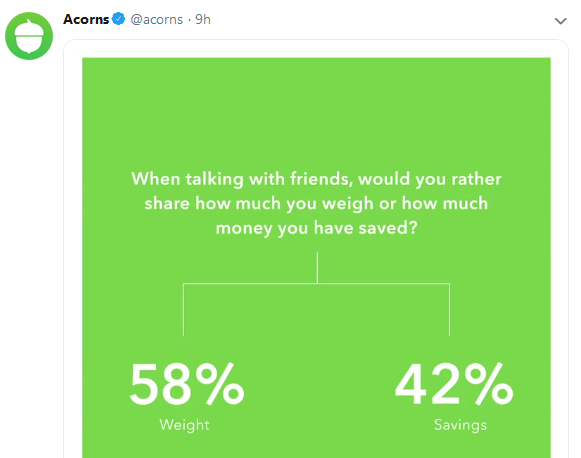 That said; according to a study by Jumio and Javelin Strategy & Research, 43% of this target market would jump ship and find an alternative service due to a frustrating user experience. So, be sure to provide a seamless platform. Top tip: Millennials expect performance so the best thing you can do is provide value. This means that your products/services should serve a specific purpose. And your online and offline marketing efforts must be eye-catching and different. Innovation and advanced tech capabilities are what the fintech world’s all about. The idea is to problem solve and not give users more hassle. This is particularly true when targeting millennials who greatly dislike overly complicated systems. Below are just some of the reasons why millennials have abandoned mobile banking in the past. As you can see, anything too lengthy is a big no. Big flashy sales messages and banner ads don’t work with this generation. They’ve seen it all before and are looking for something more authentic. Storytelling and immersive experiences backed by virtual reality tech is likely to work much better. Don’t forget, consumers can block or silence you on social media if they don’t like what they see and may turn to competitors. Top Tip: Creative marketing requires a strategy. It can’t be rushed, so think carefully about what you want to achieve and how to appeal to consumers. Set tangible KPIs. There are plenty of challenges when it comes to fintech marketing. But once you know what they are, you can work to get millennials on-side. And there’s good news. This market is eagerly awaiting the next innovation or breath-taking campaign. Millennials rely heavily on digital communication especially with fintech brands. In fact, they’re 5-times less likely to visit brick-and-mortar banks than older generations. And picking up the phone to call customer support is a big no. As a fintech company, there are certain ways you can use this information to your advantage. 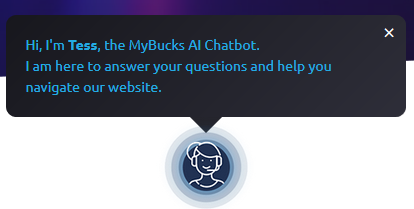 Using chatbots is a great place to start. Gartner predicts that chatbots will power 85% of all customer service interactions by 2020. And that the average person will have more conversations with chatbots than with their spouse. Below is an example of how a Frankfurt-listed fintech launched a chatbot by the name of Tess. This is geared to revolutionise how visitors navigate, engage and interact with its corporate website. It has been described as a ground-breaking conversational AI system. It’s capable of receiving commands through speech recognition and answering questions through text-to-speech in ten languages. Therefore, chatbots provide a source of automated, instant and useful information for consumers helping to increase acquisition and retention. Top tip: Make sure your chatbot works. A system that can’t respond to real-time questions and queries won’t help to gain consumer trust and loyalty. When finance and technology combine, the results can be extremely exciting. As a fintech, it’s necessary to shine and take advantage of up-and-coming trends such as artificial intelligence. AI is being incorporated into many business models to make services quick and simple which again appeal to the millennial market. Digit helps consumers to save in the most effective and organised way possible and is tailored to a young, tech-savvy audience! Through automation it helps to budget for many different life events and necessities, taking the stress out of saving! Olivia is designed to stretch your paycheck and manage your finances. This app can be tailored to consumer requirements making it gold dust for millennials. 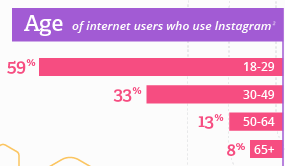 94% of millennials follow brands on social media. So, if you don’t have an omnichannel presence, it’s time for a rethink. This audience dominates all the leading platforms including Facebook, LinkedIn and Instagram as you can see below. Therefore, you’ve got to hang out where your market does. Need help? Contact the Contentworks team to get Socially Sorted. 80% of the world’s internet traffic will be video by 2020. And as 80% of millennials find video useful during initial purchase research and 76% follow brands on YouTube, incorporating such content into your marketing is a must. 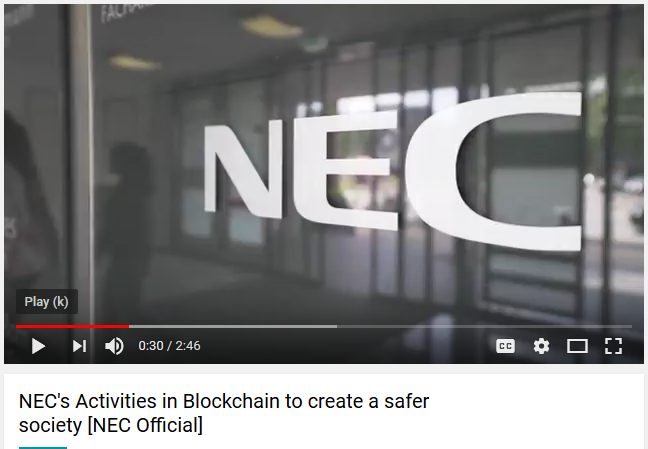 NEC’s video about their blockchain initiatives (created by Contentworks marketing agency) is a great example of how you can educate and inform in a visually appealing way. You can watch the whole video here. Top Tip: Half of millennials only watch videos on their mobile devices. This means that your video content should be tailored to mobile use. This is crucial to avoid losing half of your target audience. Remember that branded content shouldn’t be over salesy or pushy. While explainer videos are a great way to launch a product or introduce team members, authenticity also comes from going behind the scenes. Millennials enjoy being taken on a journey that improves the overall user experience, so don’t be afraid to showcase raw creativity and have a little fun. After all, finance is so much more than ironed shirts and red braces these days. 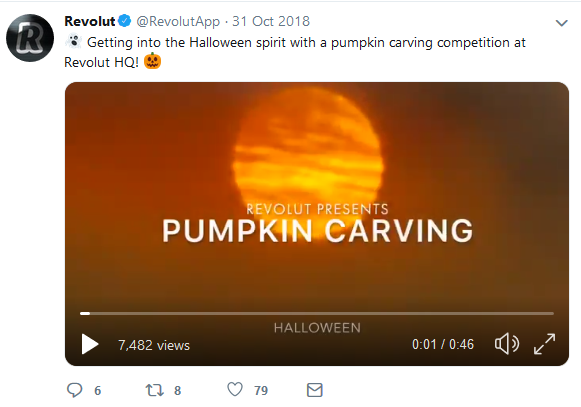 Mobile banking fintech Revolut did just this with their pumpkin carving idea! Top tip: Work your marketing strategy around key calendar events as this is a great way to make branded social media contributions that are appropriate and engaging. One of the most important elements of fintech marketing is communicating trickier concepts in an easy-to-understand way. Infographics are therefore ideal as they help bring key messages to life. You can also showcase stats and success stories for your brand. 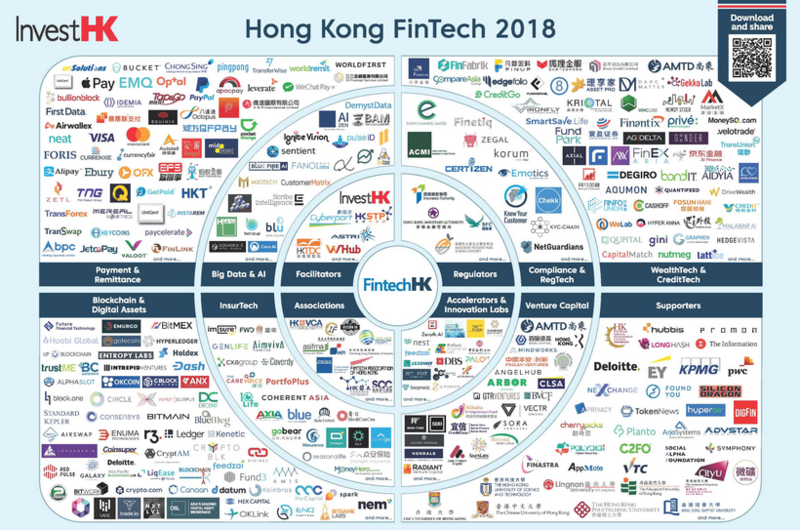 The below shows the fintech network in Hong Kong. Top tip 1: Create branded infographics to help spread brand awareness. Top tip 2: Make your infographics useful to the consumer. 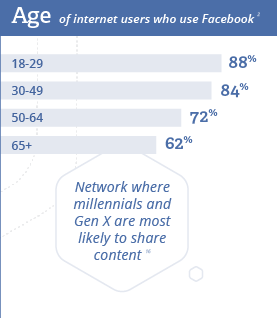 Millennials are more likely to share content if they feel it will add value to the lives of their family and friends. Top tip 3: Repurpose information from recently written articles and blogs to create infographics with all the latest stats and statistics. Social media helps businesses to bond with the millennial generation. Essentially consumers want to know what you’re offering and why they should be interested. This makes a ‘giveaway’ initiative an ideal way to attract attention. You could also run a competition to encourage interaction. Brokers, for instance, might want to offer a free demo session or one to one training. This could be in return for a social media follow and post share. Polls are also effective for many reasons. Firstly, they encourage interaction. Secondly, they provide businesses with valuable consumer insight. 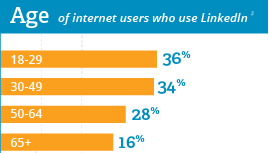 And thirdly, poll results can be shared across channels resulting in additional organic content. Contentworks Agency works with brokers, fintechs and financial services providers to deliver intelligent content marketing. Contact us today for help with your fintech content marketing strategy. « Is Your Fintech Start-Up Embracing Visual Marketing?